A Look at Philadelphia Tourism & Hotels | Econsult Solutions, Inc. This week’s Present Value , we host a Q/A with Senior Advisor Robert Jaeger on tourism and hospitality, honing in on hotels in Philadelphia. 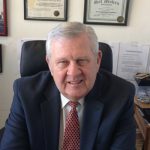 Mr. Jaeger has over three decades of executive experience in the hospitality industry, including serving on the Executive Committee of the Board of the Philadelphia Convention and Visitors Bureau and the Greater Philadelphia Hotel Association. ESI offers a broad range of services for tourism, hospitality and entertainment clients, drawing on our depth of industry experience and range of economic and business analysis capabilities. To learn more please click here. How did you feel about hotel inventory in 2018? Hotels in Philadelphia Center City finished 2018 at an all-time record high of 79.8% Occupancy and ADR at 189.00, which comes with increases in hotel inventory in 2018.This is quite remarkable considering when hotel inventory increases, occupancy and RevPAR usually decreases. For 2019 there will be additional inventory coming on, so I envision a flat or slight decline in occupancy and flat ADR. The absolute strength in occupancy is the superior performance at the Pennsylvania Convention Center. The continued strength of sales and service efforts by the Philadelphia Convention and Visitors Bureau, led by Julie Coker Graham, has fueled attraction of new clients and a return of former clients who had once said they would never come back to Philadelphia. Leisure and tourism is very strong in Center City due to high occupancy on weekends, especially Saturday evening at over 90% occupancy. Both domestic and international tourism is on the rise due to low gasoline prices, low unemployment, and easier access to Philadelphia. International tourism is rising due to greater guests from Asia, specifically China, as China is now among the top three sources of business. Keep in mind all hotel sales and marketing efforts play a role in attracting tourists to Center City. The efforts of PHLCVB have brought corporate groups into the PA Convention Center, while VisitPhiladelphia concentrates on domestic and Canadian tourism. These efforts have been ongoing for 20+ years and have taken the hotel industry far in room business. The national trends for 2019 vary by market, but most forecasters see a flat occupancy (as more new supply comes on) and a slight increase in ADR. Where and/or what type of product is lacking, where would additional supply be for the city/region? In my opinion, Center City has a balanced array of hotel product. I believe that the high cost of building new or adaptive conversion makes it difficult to bring anything less than upper midscale to the market. In order to justify ROI, a hotel needs a very strong ADR to meet its financial projections. Thus, building a midscale property is difficult, but I believe that it is needed in Center City. To attract value seeking clients with domestic origins for say motor coach, seniors, students, or international business, lower than average prices will be needed to keep these segments. For instance, Asian groups and FIT (foreign international travelers) will only spend so much here. If Center City does not have products for these travelers, they will go outside of Center City or even out of state. The City could also benefit from more dual branding projects which would consistently bring two hotels in one to feature extended stay and upper midscale corporate or leisure business. What macro-economic or geo-political trends are you tracking that relate to tourism activity? The tourism (and overall hospitality) business is greatly affected by national and world events. War, recession, terrorism, and general geo events negatively impact the hotel industry. One has to be reminded how quick events like 9/11 severely affected hotel occupancy and rate erosion. Topical events like tariffs and trade wars negatively affect the stock market, which makes hospitality occupancy decline in reaction to less business travel, meetings, and spending. In my opinion, when the stock market declines (as in 2008), hotels suffer a reaction within 2 months. What do you think will happen in 2019 on these fronts? I certainly hope the US does not enter a recession – any recession would lead to some decline in the hotel industry. Right now, low gasoline prices and low unemployment rates are adding to greater leisure tourism and travel. Lingering stock market downturns will hurt corporate groups and meeting business. The Center City hotel market has benefited recently from some historic events such as the Papal Visit, Democratic Convention, NFL draft, and the Eagles Super Bowl victory. These events have placed Philadelphia on the national and international stage. The expanded PA Convention Center with SMG as management has brought superior results as well as a great sales and support team. They also provide great inroads to securing international business. 2019 should be another great year for leisure and tourism. Consumers will benefit from more hotel products, brands, and choices. Robert Jaeger is a Senior Advisor at ESI with over three decades of executive experience in the hospitality industry. His experience spans from working for the Loews Corporation, Warwick International Hotels, Hilton Hotels, and Ramada. Mr. Jaeger has experience as a hotel industry consultant working on various projects in New York, Philadelphia, California, Florida, as well as the Caribbean. Mr. Jaeger served as a member of the Hospitality Initiatives Committee of Greater Philadelphia Tourism Marketing Committee (VisitPhiladelphia) for 14 years and was the past Vice Chairman and Officer of PHLCVB and Officer of GPHA.